“Please don’t give me any work, I am feeling so tired today”; this is such a common phrase which we hear especially among individuals working in the corporate sector or businessman who are working under high-stress levels. 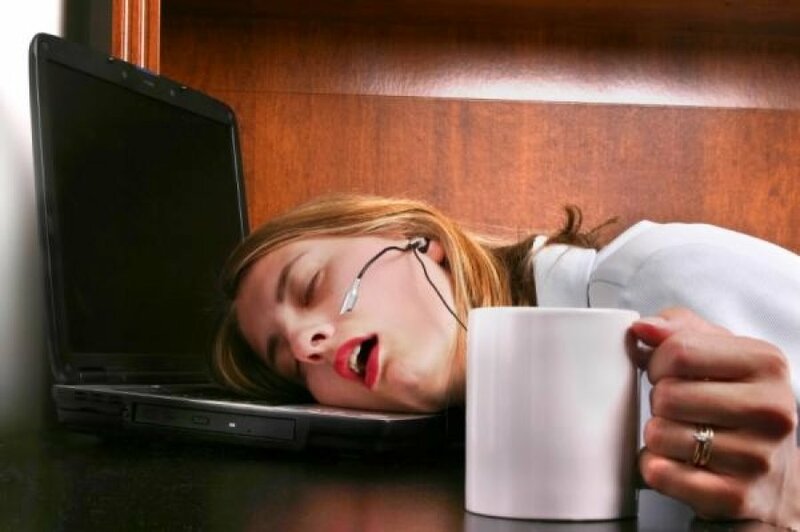 There is nothing wrong in feeling tired after work, but if it lasts for a long time accompanied by lethargy and fatigue it may indicate a deeper problem which is worth investigating. There are many reasons why you may feel and you should always consult a physician if the problem is persistent. The problems can be as simple as few bad habits which you may have picked up and practicing it for days together, Unaware! Breaking these habits may not be easy, but with a little bit of determination and small changes made every day, this office exhaustion which may hamper your productivity can be soon eradicated. Digital activity at night: As the world is going digital we feel so comfortable playing games, chatting with friends or surfing on our smartphones. You do not even come to know how long you were handling your phone. This habit is a not an office habit per se but it has a huge impact on your day and it should not be overlooked. These digital screens can negatively affect the quality of your sleep. You won’t feel fresh until you were truly restful throughout the night. So, sleep and rest is more about quality and not quantity. A cluttered work area: You may be wrong if you consider once a month or once a year cleaning is sufficient for your workspace. You may need to correct this thought and start being more diligent about your clean ups. A desk which is messed up increased visual activity which also increases the amount of visual information the brain has to process on a moment to moment basis. This processing takes away a lot of the cognitive energy which later reflects in reduced productive work. This cluttered desk drains your mental energy and further increases stress. Minimizing unwanted things on your desk is not a challenging job it just needs few minutes of your day. A clean desk can have a positive effect on the mental health and energy levels. Imbalanced brightness: Eye fatigue is a common problem in offices today. People constantly working on the personal computer generally complain of eye ache, headaches, dry eyes etc. Your entire body may feel tired on even not working much. This fatigue is as a result of a mismatch between the screen and the ambient lighting. The brightness of your screen should be the same as in your environment. Adjust the exact amount of brightness which may be helped by an appropriate IT consultant in your office. The screen should neither be too bright nor too dark. Wrong monitor position: As you spend most of your time facing the computer positioning the monitor right is important. Small screens should be closely placed while large screens should be placed far so that it is comfortable to read. Neglecting this can lead to eye strain, cervical spondylitis, neck pain, tension headaches and above all fatigue. The monitor’s height is equally important too. High or low positioning can strain your neck. The monitor should be adjusted according to your eye level when you are looking straight. Stretching your work: Doing this will definitely add to the productivity of your company but may ruin your health. People tend to stretch their work thereby postponing their break timings. Short but frequent breaks will help shove off fatigue. Stretch yourself, have water, talk to your colleagues, walk around in the office, much on some dry fruits. These breaks help in normalizing and equalizing blood flow towards each part of your body. It helps activates your muscles by reducing muscle stiffness. Seasonal Depression: You must have frequently heard of the term called “winter blues”. Some people do experience a serious mood change especially during the winters due to lack of sunlight. It is rightly called as the seasonal affective disorder (SAD). It comes and goes away with winter, hence it should not be confused with clinical depression. Deficiency of natural sunlight leads to Vitamin D deficiency which is quite common in the corporate population which again is a cause of fatigue. Taking Vitamin D supplements as advised by the physician while monitoring them regularly is the key. Whenever possible stretch yourself out in sunlight if you, fortunately, have a balcony adjacent to your office chamber. There are also several light therapies which can be taken to get rid of symptoms like dullness, mental fag, irritability, anxiety etc. So go on and investigate yourself if you are suffering from fatigue at work, after or during your work schedules. You will be surprised to notice that you have bad habits mentioned above which you may have cultivated unknowingly. If you’re suffering from chronic fatigue, anxieties or similar symptoms do let us know your feedback in the section below. We are here to help you if you have any queries related to illness. Feel free to get in touch with Dr. Rajesh Shah’s associate doctors at Life Force Homeopathy. You may write into us at info@lifeforce.in or give us a call at +91-22-66888888.